John Distillers Ltd was founded in 1992 by their chairman, Paul P. John. The drinks company owns many brands of wine, brandy and whisky, with Original Choice Whisky being their flagship brand, selling over 10million cases a year. JDL started producing single malt whisky in 2008 and have several releases. They produce unpeated and peated malts. 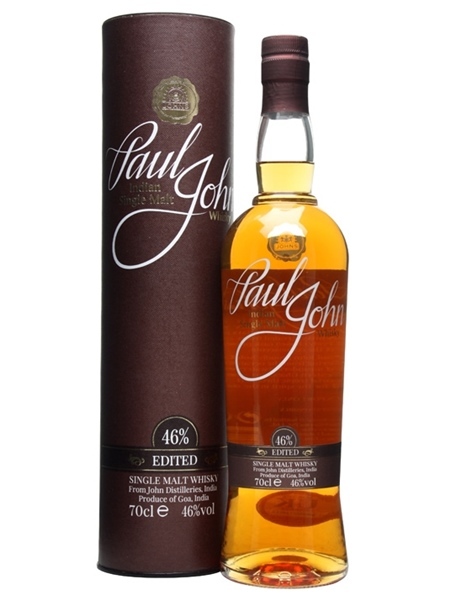 Paul John Brilliance Single Malt is a young, un-peated whisky aged in ex-bourbon casks and bottled at 46% ABV.